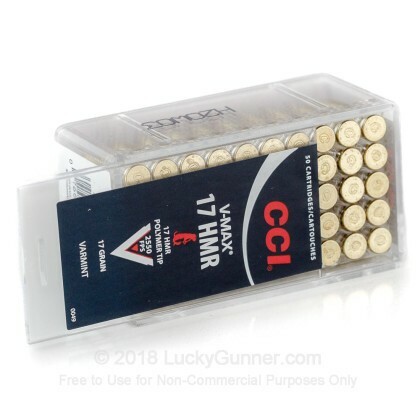 From CCI comes a great 17 grain polymer-tipped 17 HMR round that's got excellent accuracy, flat trajectory and explosive performance thanks to its polymer-tipped V-Max bullet. 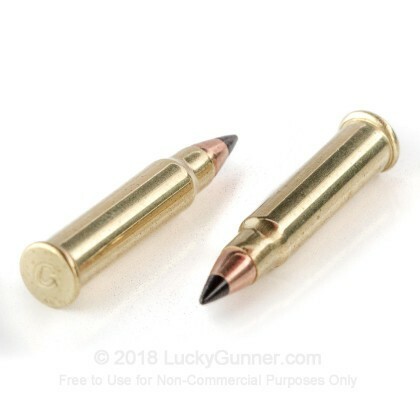 You won't be disappointed with this reliable varmint round. 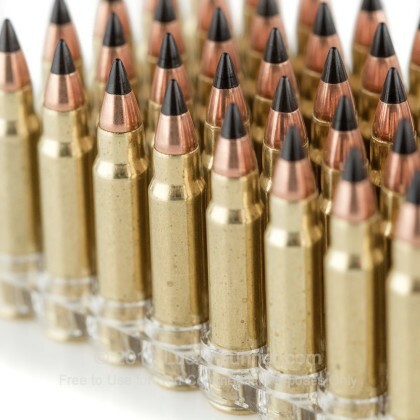 Each round is brass-cased, rimfire-primed and non-corrosive. 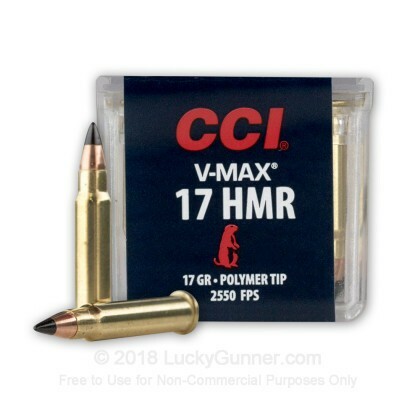 We don't have any reviews yet for this particular .17 HMR ammo from CCI. 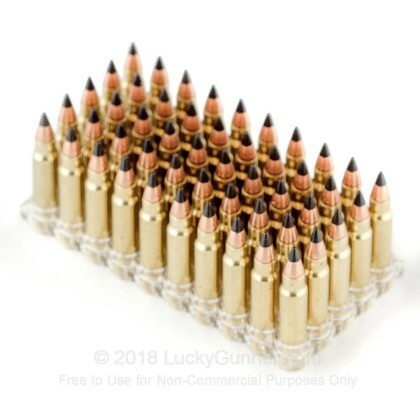 If you'd like to be the first to review this particular .17 HMR ammo from CCI, fill out the form below. 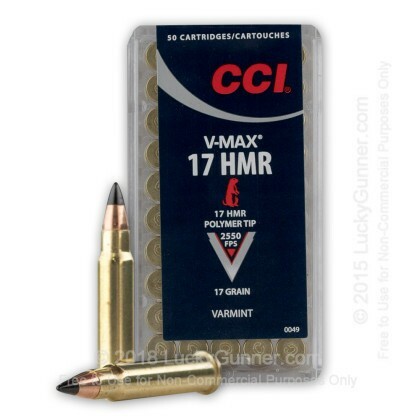 We also have this 17 HMR - 17 Grain - V-Max - CCI - 50 Rounds ammo in stock in a smaller quantity.